VARC Solutions has developed the only Quick Base to QuickBooks Integration tool that can be configured by any end user; an integration tool that connects and moves data bi-directionally between YOUR Quick Base and QuickBooks! 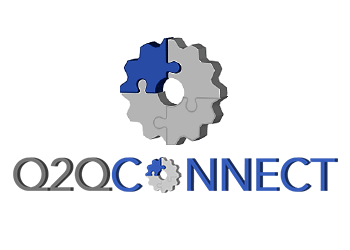 Q2QConnect connects Quick Base to QuickBooks Desktop (Pro, Premier or Enterprise) providing end-to-end workflow management without the hassle of double work or costly mistakes when copying data. Setup is easy as one, two, three. sync Employee and Item data from QuickBooks into Quick Base. The ONLY integration tool that ANY user can configure for Quick Base & QuickBooks Desktop! End to End Workflow Management without the hassle of double work or costly mistakes! Expert Support when you need it! VARC Solutions has been a trusted Intuit Solution Provider on QuickBooks and Quick Base for 17 years, having won Intuit’s prestigious Partner of the Year Award in 2009, their Sales Achievement Award in 2011, and the MVP Land Award in 2015 for bringing in the most new Quick Base accounts. VARC Solutions can also assist you in setting up your QuickBooks or Quick Base in the most efficient manner. Additional products and services are also available adding additional functionality to your QuickBooks and/or Quick Base solution.